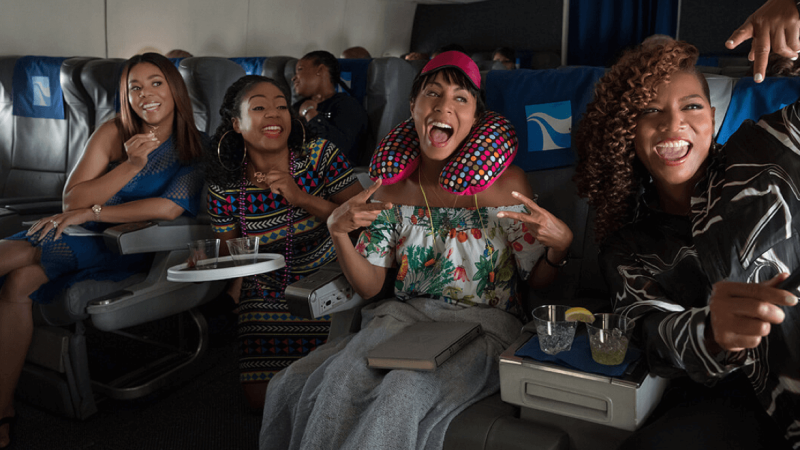 When breakout star Tiffany Haddish won a New York Film Critics Circle award (best supporting actress) in November for her performance in the comedy Girls Trip, there was buzz that she, and the film, might be in for a fruitful awards season. And that might still happen! But for now, Girls Trip got completely shut out of the Golden Globes, and one of the film’s stars Jada Pinkett Smith thinks it’s neither a fluke, nor fair. In fact, Pinkett Smith accused the Hollywood Foreign Press Association of refusing even to screen Girls Trip for consideration. In her Twitter thread, Pinkett Smith also suggested that the race and gender of the film’s stars may have factored into its omission from the Golden Globe nominations. [Update, 8:57]: According to a Los Angeles Times report published Tuesday, Universal, the studio that released Girls Trip, confirmed that there was a screening of the movie for the Hollywood Foreign Press Association and members received screeners, however, HFPA members did not travel to New Orleans to attend press conferences for the film. Anthony Bourdain was in mildly hot water these past few days for doing a series of cryptic tweets, seemingly bewailing the fresh hell of Mondays. But in retrospect the tweets reveal Bourdain knew the accusations of sexual harassment against celebrity chef Mario Batali were imminent and perhaps felt rather squeamish about them, or at least that’s what his critics surmised. Time for a Twitter break! [Update]: At least some of these minor issues seem to have been resolved and I still say time for a Twitter break!